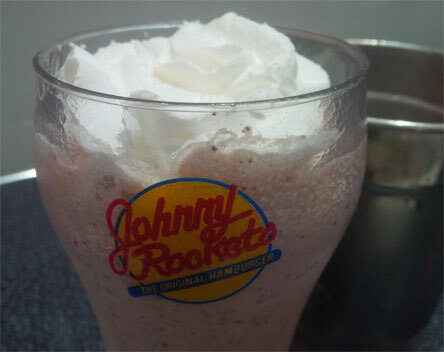 [By Nick] We've only covered Johnny Rocket's once on the site and I just had my first experience not too long ago. I've walked by this restaurant multiple times in my local mall but never stopped in. Thankfully, my girlfriend convinced me that we should have dinner there one night. First off, the burgers are pretty good. I had some sort of southwestern burger and it was something I'd order again for sure. Onto more serious matters and that involved me ordering a shake. They have a good amount of options on their menu. What stood out the most was the Strawberry Oreo Crumble Shake. I mean, it's not surprising that I had to go with an Oreo shake. This is a very drinkable shake though I wish it was a bit thicker. Don't get me wrong, it's not like a smoothie or anything but it does go up the straw quite easily. The Oreo bits are tiny enough for the most part to go up the straw with ease which is a plus. The shake tastes exactly like a berry burst oreo. The chocolate works perfectly with the strawberry here. The strawberry is slightly on the artifical side but I think I prefer that in this application. I do wish the Oreo bits were a bit bigger to add more texture. I might just be biased though since 9 out of 10 times, I'd order a scoop of ice cream instead of getting it as a shake. 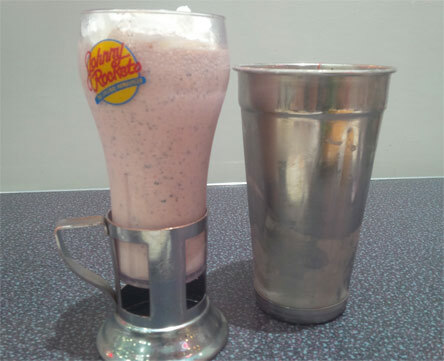 For my first Johnny Rockets experience, I have to say it went well. There's definitely some more shakes on the menu I'd like to try as well as some of the other non dessert options. 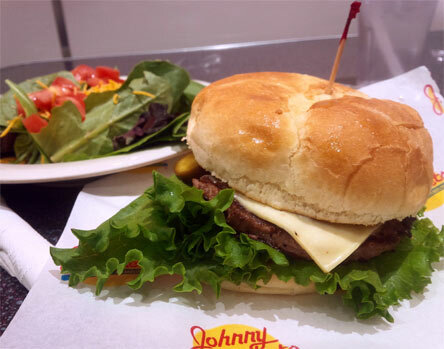 Be sure to let me know in the comments what your favorite items are from Johnny Rockets!